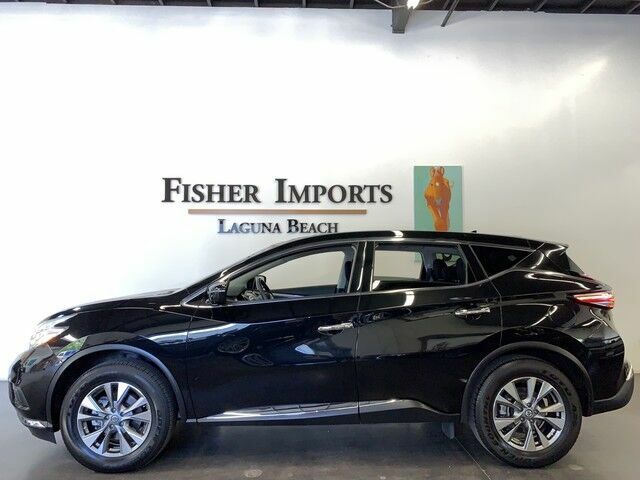 You Are Viewing An Immaculate 2016 Nissan Murano S !!! Magnetic Black Metallic over Black Interior! This Murano S Is Absolutely In The Wrapper!!! Back Up Camera! Bluetooth! Perfect Carfax! Serviced! CVT Transmission! Southern California Car From New! Absolutely Pristine! Please Contact Fisher Imports Laguna Beach at 949-715-8988. Financing Available! We are happy to assist with the arrangement of transport nationwide!